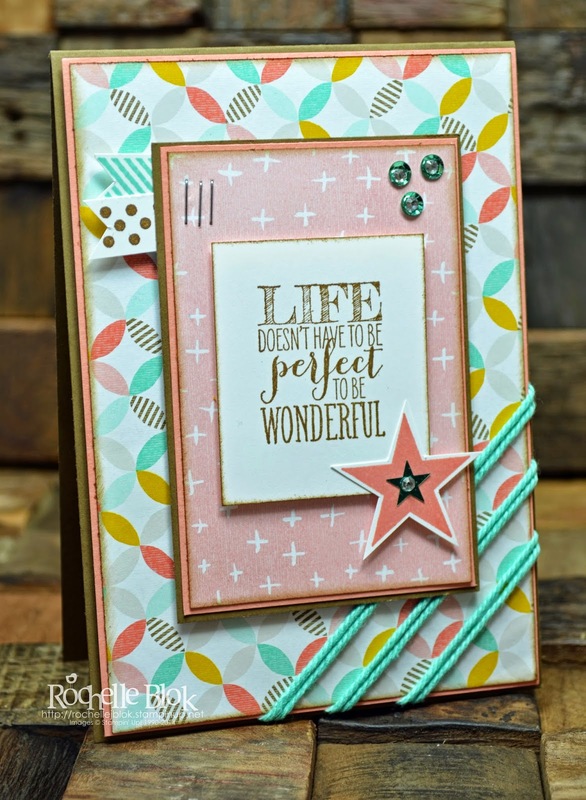 This week over at Just Add Ink we have a Colour Challenge put together by Kim Badlet. I really didn't know where to start with this one as a few of these colours I very rarely use. I have been thinking about what I was going to do for over a week now. I felt like every time I looked at the colour combination all I could hear is crickets chirping away, silence and then ... nothing. Here are this weeks colours. I did what I usually do to get the creative juices going and have a look at a few sketches and I got the ball rolling from there. 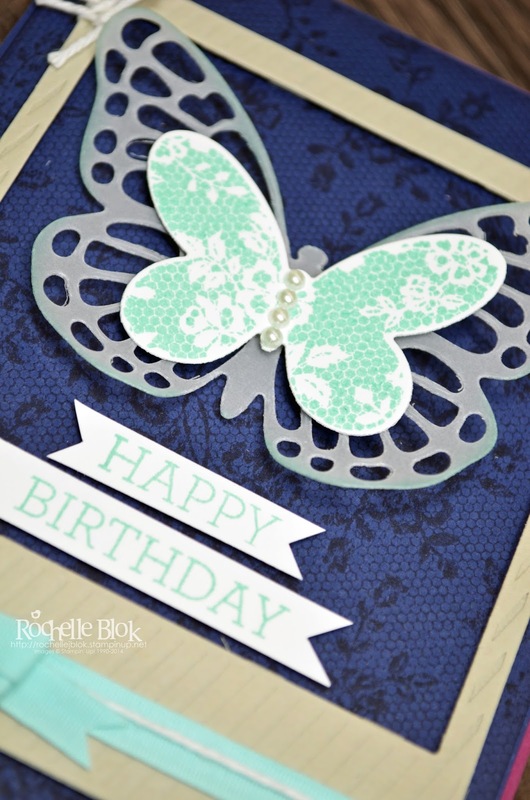 I thought then I would have a play around with the Butterfly Basics stamp set. I love this set! 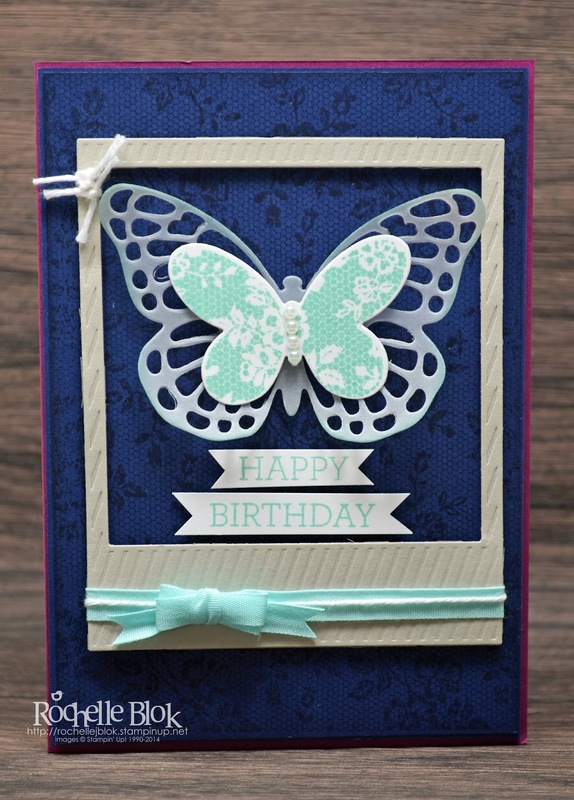 I looked at the butterfly image and thought that it looked very similar to the I Love Lace background stamp and then it all went together from there. Be sure to check out the other Design Team members and their fantastic creations this week. 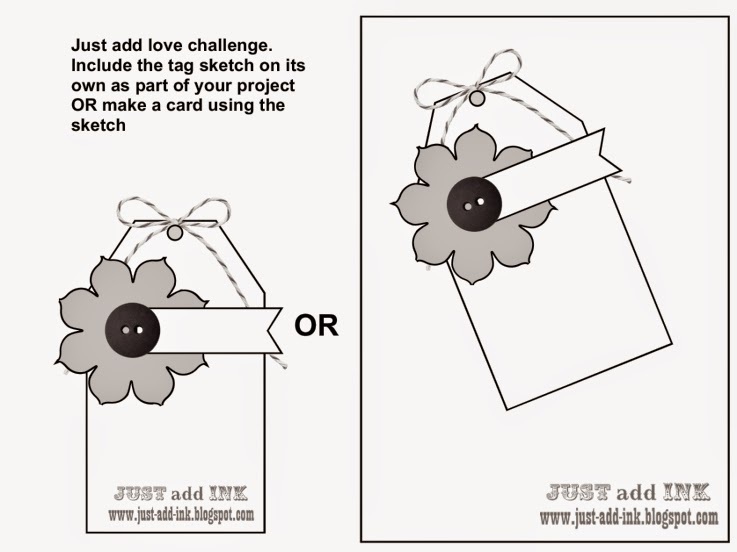 Come and join us in this challenge at Just Add Ink, we'd love to see what you create. I'm so excited this is my first post with Just Add Ink, and this is also the first Just Add Ink Challenge for 2015. 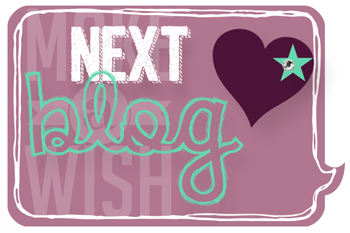 We are starting off with a Blog Hop. 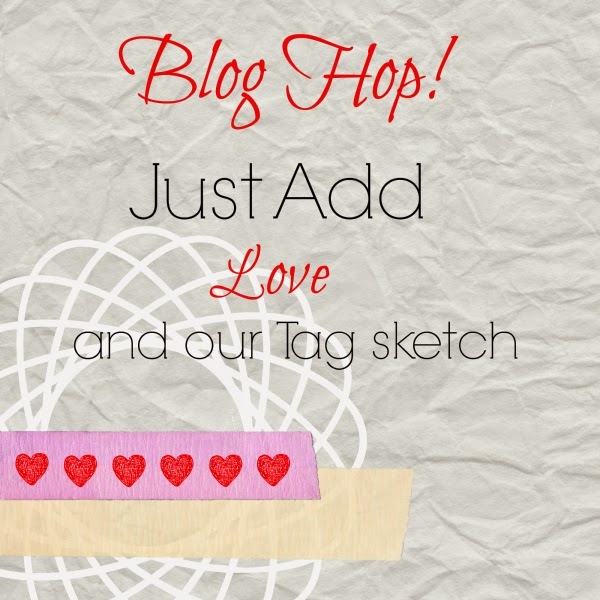 For those that don't know what a blog hop is, a blog hop, also known as blog hopping, is to move from one blog after another, via the links provided, to read the entries or to leave comments. So just click on the links at the end of each post and follow the 'hop' around. You may have joined me from Shona Chambers or you may have started here. If you get lost along the way just go back to the Just Add Ink page and pick up again where you left off. With the theme 'Just Add Love'. Perfect to get some ideas for Valentine's Day coming up! 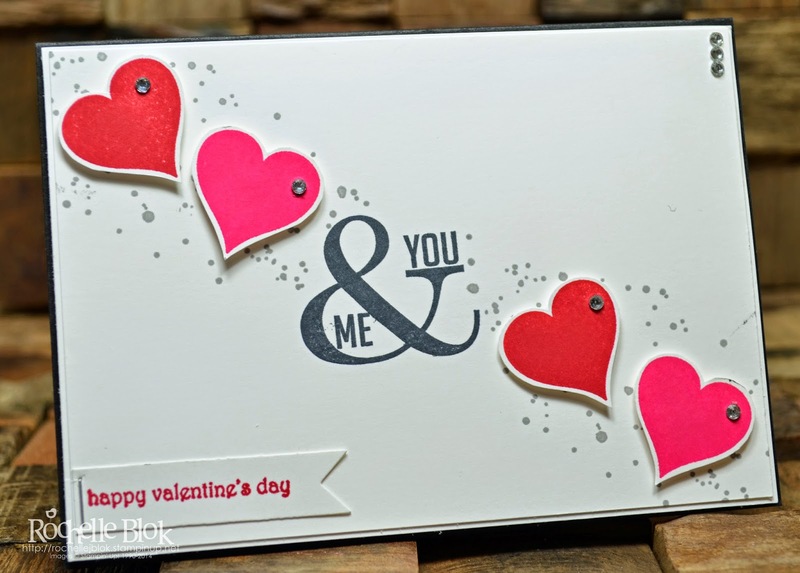 I chose to make a card using the new Hearts Embossing folder from the new Occasions Catalogue. How cute is that embossing folder??!! I have sort of CASE'd myself from my last card. But I really loved the layers of banners and ribbons coming off the heart and then using the 'You' from the Hello You Thinlits. I was really stuck for ideas on a colour combo so I got out the fantastic Color Coach and picked a combo from there! When all ideas seem lost maybe pick up your color coach and start from there. Click on the button below to hop on to Patrice to see what she has created. 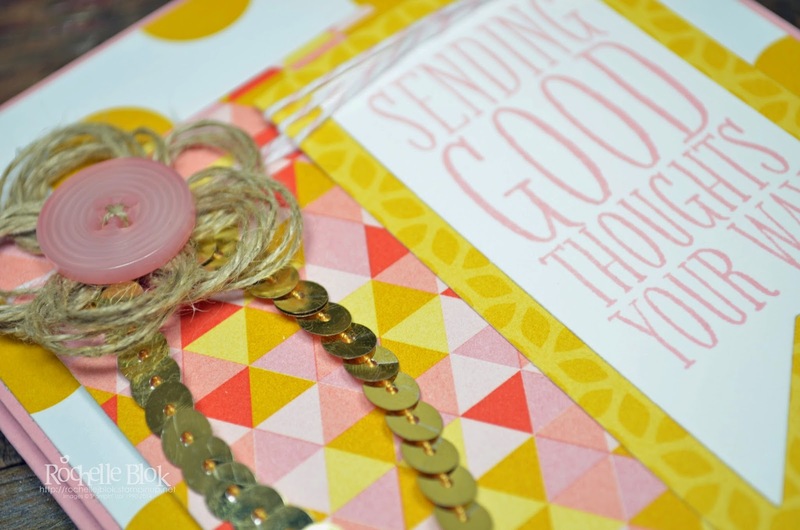 Welcome to the Stamp Review Crew Blog Hop. It's the 3rd Monday of the month so that means its time again for another hop. They come around so quickly! 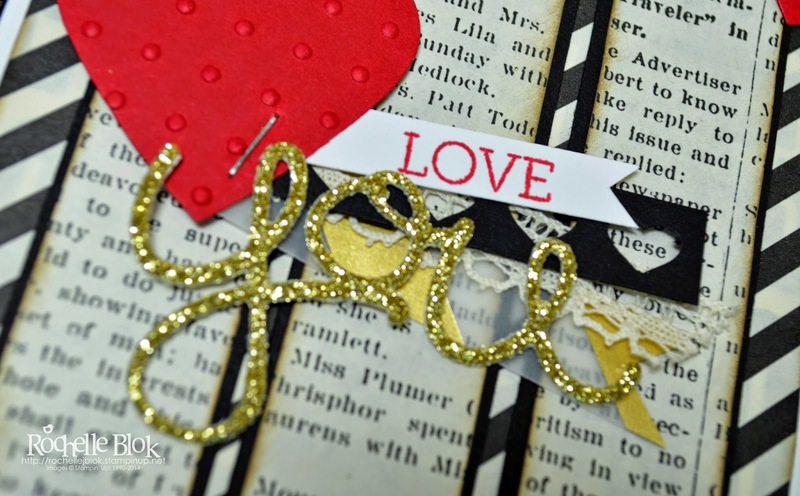 This hop we aren't focusing on one stamp set, we are having a bit of a free for all to use whatever stamp set you like but with the theme of Valentine's Day. If you are following round on the hop you may have joined me from the fantastic Adriana Benitez. Don't you just love her creations! If you get lost on the hop click on the banner at the top of the post and this will give you the list of all the 'hoppers' in The Stamp Review Crew. I must admit I don't actually have any Valentine's Day specific stamp sets. GASP! I know! Valentine's Day just doesn't seem to be as big here in Australia as it is in other countries. 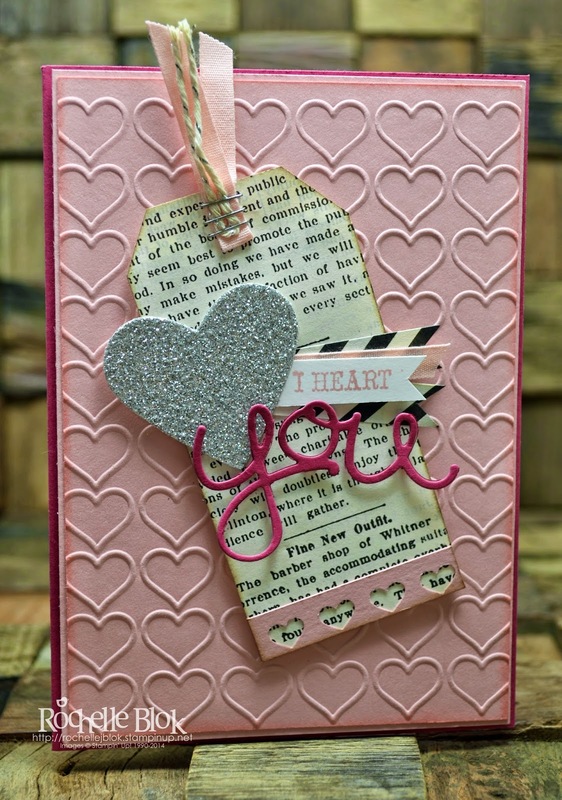 So what I've done is used some heart shaped Framelits and Punches and used a stamp set that can be used for many occasions, Crazy About You. I love the gold, shimmery look of the 'you'. And how cute are the little Real Red hearts at the top of the card. Thanks for following us along on the hop. 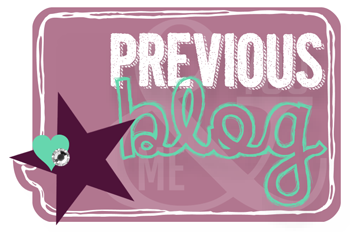 Click on the next blog button below to see what the wonderful Yapha Mason has created. Please leave a comment as we love to hear what you think of our creations. 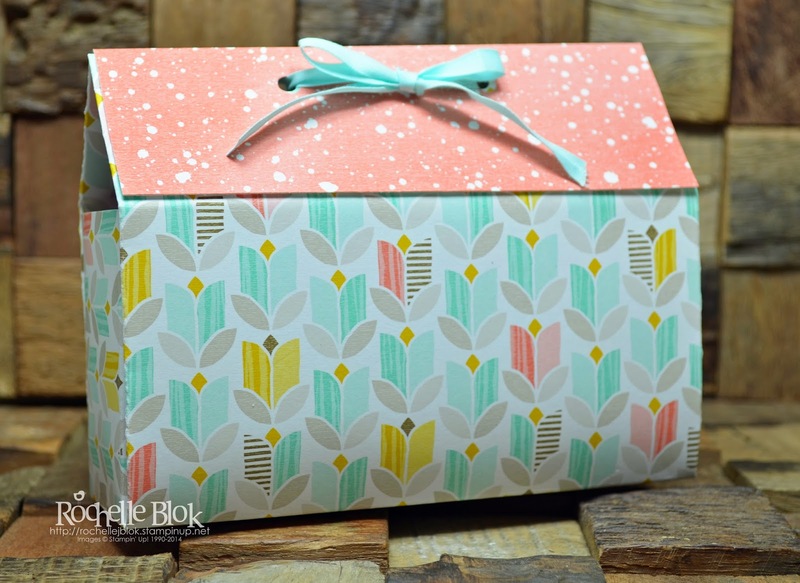 Check out these cool treat boxes and they are so easy to make! I didn't get to have an end of year/Christmas get together with my team. And I felt so bad that I didn't have time at the end of last year to get them a gift to show them how much I appreciate them being on my team. So last week we had a coffee morning which rolled into lunch at one of my ladies places and I made them all this little gift and I put some Stampin' Up! goodies inside. They are very easy to make. Four score lines, a few folds and you're done! You can make them with or without the topper piece on top. 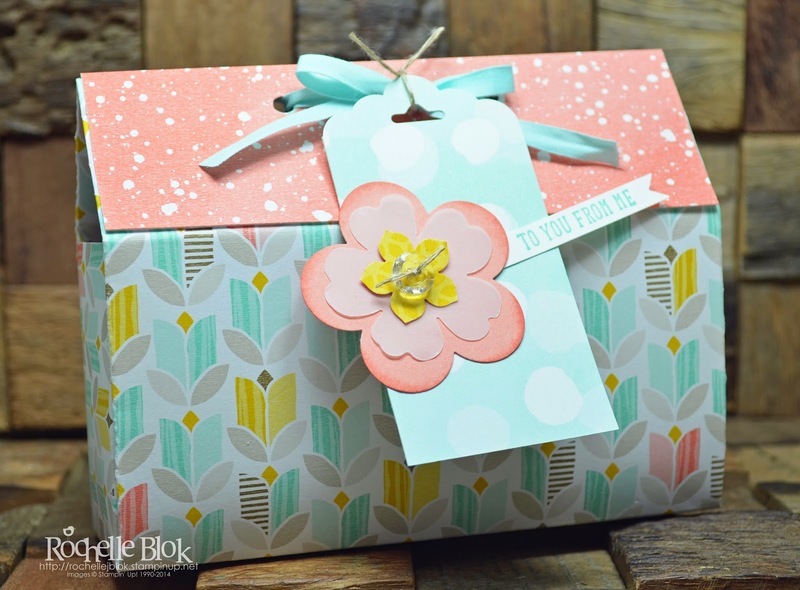 All up to you how you want to decorate and embellish your box. It even looks cute without the tag. How nice is the Sale-a-bration paper?! 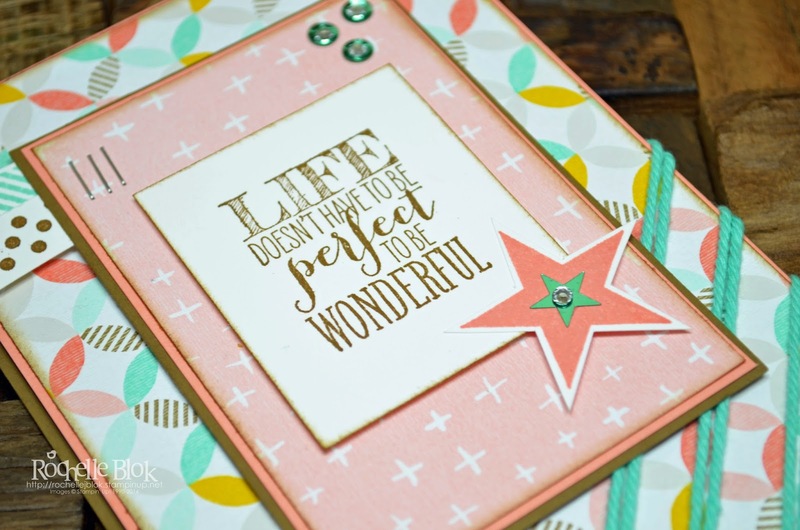 If you spend $90 (AUD) on Stampin' Up! products you can get this paper for FREE. Ask me how today or check out my website Here. 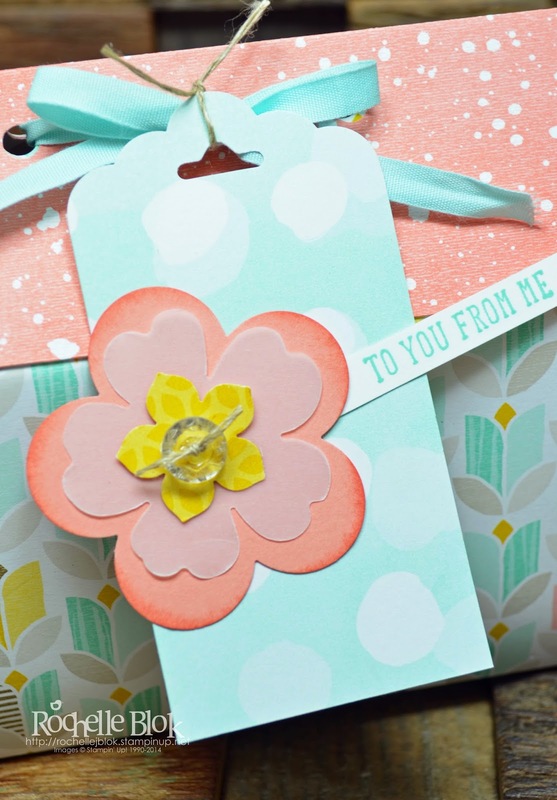 All finished off with a gift tag using the scallop tag topper punch. To see how to make this treat box, have a look at the YouTube clip HERE. So easy! 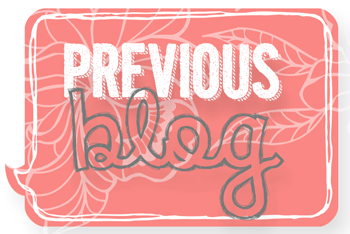 My first post for 2015 and the first Stamp Review Crew Blog Hop for 2015! I hope you all had a wonderful Christmas and a fantastic New Years. Maybe even got away for a well earned break or holiday. I've just come back from a week camping with my husband and kids at the beach. Lots of fun, lots of swimming, lots of walking and lots of relaxing! Feeling very refreshed! This hop we are focusing on the stamp set Perfect Pennants. If you are following along on the hop I'm 11th on the hop and you may have joined me from the fantastic Mike Funke or you may have started here with me. Either way you are in for a treat to see the creativity and imagination of myself and 16 others of the other Stamp Review Crew. If you get lost on the hop click on the banner at the top of the post and this will give you the list of all the 'hoppers' in The Stamp Review Crew. Perfect Pennants is a very versatile set and it co-ordinates with the Banners Framelit Dies. I've created 3 cards using this stamp set. The first card uses the new Sale-a-bration DSP, Best Year Ever, that you can earn for FREE from 6th January! The colours are stunning and so bright and cheery! I used a sketch for this card that I had saved on Pinterest. I can say that it started out very differently to what I originally had planned! But I'm very happy with the way it turned out. This card uses some of the Flowerpot DSP from the Annual Catalogue. The sentiments from the Perfect Pennants set fit in very well in the Banner Framelits. I used the linen thread to make a 'flower'. I just wrapped the thread around my finger and then stick each 'circle' behind the button with sticky strip. 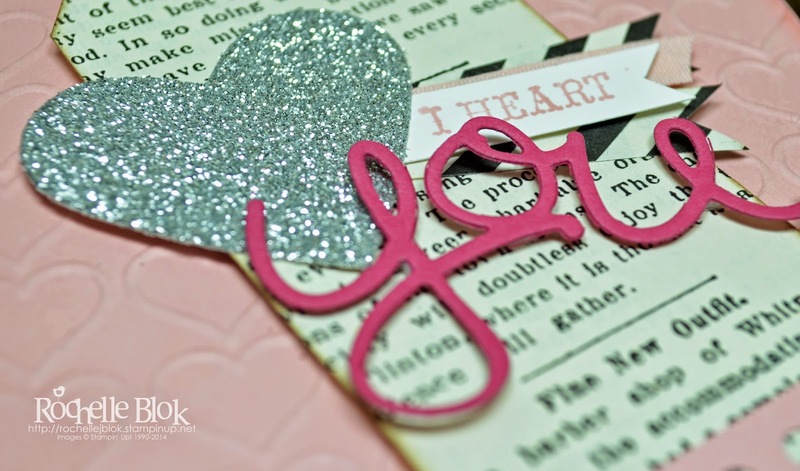 The last card is a quick, clean and simple card that is easy to re-create for your loved one for Valentine's Day. Thanks for following us along on the hop. 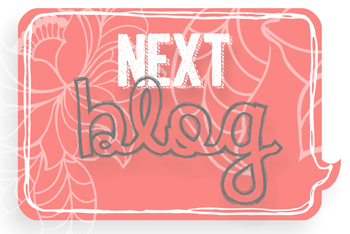 Click on the next blog button below to see what the wonderful Nancy Smith has created.